Gorgeous pie, isn’t it? It is absolutely heavenly to eat. And utterly exhausting to make. It took two days and many steps. So let’s call this a “Special Occasion” dessert. I think a wedding cake might be less work. Ok, now I’m just getting carried away. 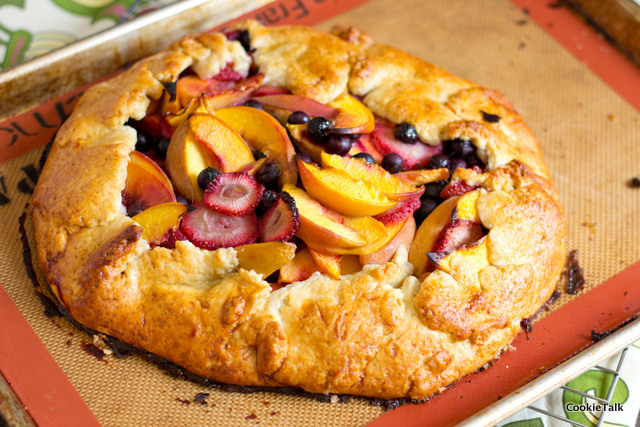 This pie was on the most recent issue (August 2011) of Bon Appetit. And what do you know, I had just gotten a brand new kitchen torch! What are the chances? I’m not a big pie person. I mean, I love to eat pies (who doesn’t?) but I don’t really love to make pies. I think it might be the dough. I don’t really like rolling out dough, but this dough was quite easy to roll out and easy to work with. It is mostly butter with just a wee bit of shortening (another chance to use my organic shortening!) to keep it flaky. And when it bakes, it actually tastes like a cookie! Love it! I made the dough the day before and baked it the next day. Moving up…the compote. I reduced mine down to half a cup as directed, and I used a Pinot Noir but I thought it was still a bit too runny. 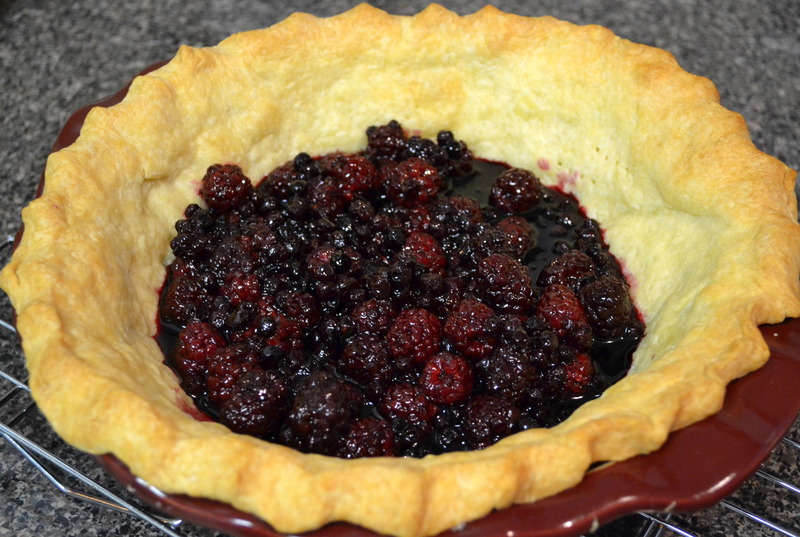 So I soaked the berries (added a few blueberries since I was low on blackberries. Darn heat) in the wine sauce for a couple of hours, then strained out the berries adding only a bit of the sauce. I kept the rest of the wine sauce for another day. Up next, the curd. This was delicious and pretty straight forward. I used key limes since that was all I had, plus added a bit of store bought (organic) lime juice since I didn’t have enough key limes to get a full cup. I made it the day before so it had plenty of time to chill. And for the cream, well, I like to put liqueur in my cream, so I added a bit of chambord, but I think grand marnier would work great too. Before whipping the cream, place your bowl in the freezer for 10 minutes or so. It will keep the cream cold so it whips better. I also used sheet gelatin, but that is just a personal preference and will have no affect on the final product. Finally, the meringue. I’ve done meringue many times, but I still worry every time that I will mess it up. 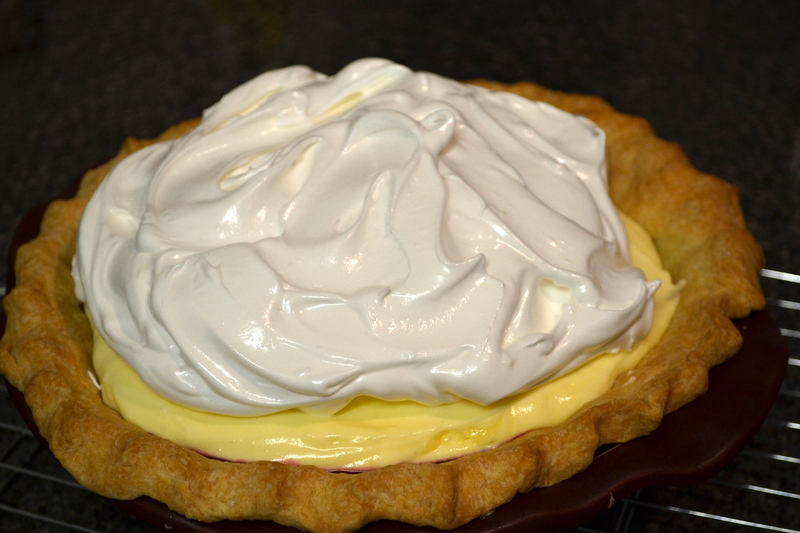 In truth, I think it is pretty hard to truly screw up a meringue. This one is Italian, so you beat the room temperature eggs first, and then add the hot sugar. If you’ve never done sugar like this, the key is Not To Stir. That’s right, just let it be. You can give it a slight swish when you first combine the ingredients, but then just leave it alone. If you don’t have a thermometer, never fear. You can check the temperature by first watching the bubbles. They will start to get smaller. As they start to get smaller, take a spoon and scoop out a tiny bit and put it in ice water. After it cools, try to form it into a little ball. If it holds it’s shape, it is ready! This is called the “soft ball stage.” And move quick at this point or you will have caramel. So you should already have your egg whites whipped and ready to go. Be careful to pour the sugar on the side and not onto the whip, otherwise sugar will go everywhere (and that might hurt!). Whip until the bowl is cool to the touch and the meringue holds its shape. 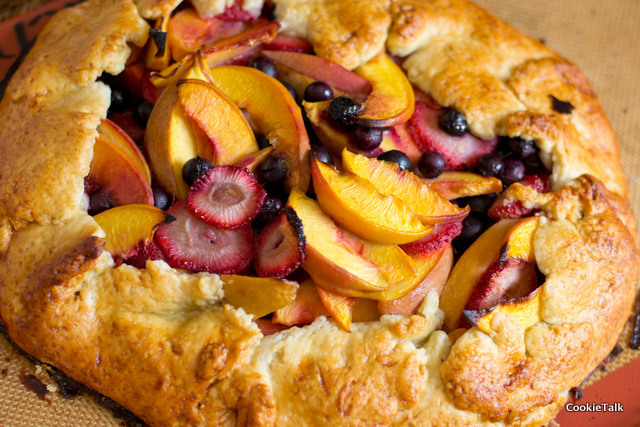 Then “artfully” arrange on the pie. And then if you have a torch, play with fire! If not, the oven will work too, just not as much fun. Beware, the first piece will not be pretty. Heck, even the second piece wasn’t. I’m not the least bit surprised that BA had the whole pie picture and not a slice. But it doesn’t matter. It tastes amazing. Sweet, tart, crunchy, soft. Delicious. Set a strainer over a medium bowl; set aside. Stir lime juice, eggs, egg yolks, and sugar together in another medium bowl. Set bowl over a large saucepan of gently simmering water (do not allow bottom of bowl to touch water). Whisk until mixture has thickened, the whisk leaves a path when lifted from curd, and an instant-read thermometer registers 175°, about 15 minutes. Add butter to curd, one Tbsp. at a time, whisking to blend between additions. Strain curd into prepared bowl. Press plastic wrap directly onto surface of curd. Chill until cold, about 2 hours. DO AHEAD Can be made 2 days ahead. Refrigerate curd. Sprinkle gelatin over 2 Tbsp. 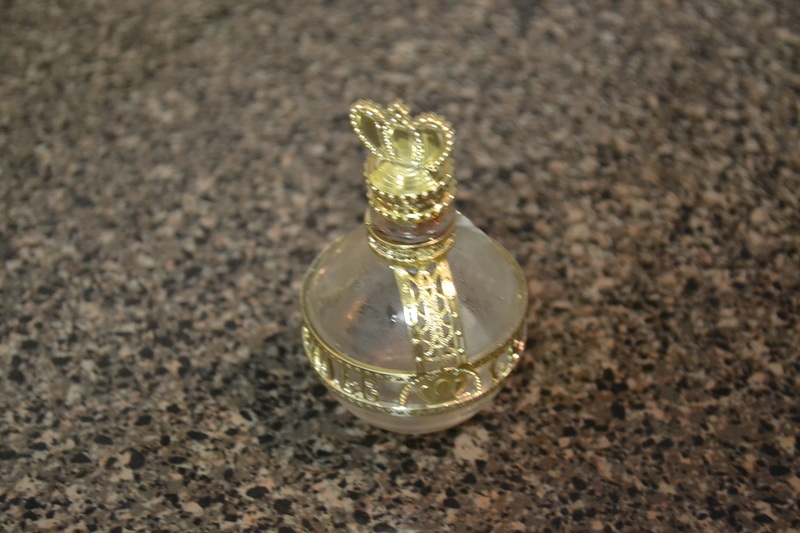 water in a small bowl; let stand until gelatin is soft, about 10 minutes. 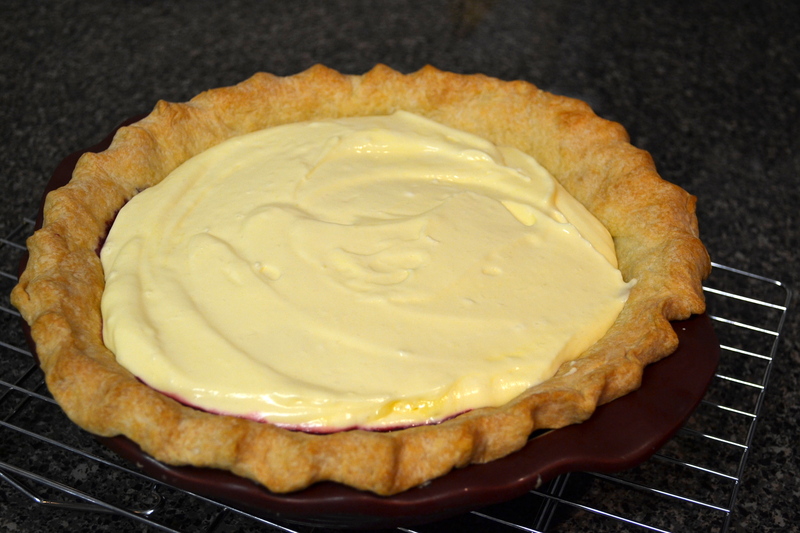 Using an electric mixer, beat cream until soft peaks form. Add gelatin mixture; continue beating cream until just before firm peaks form. 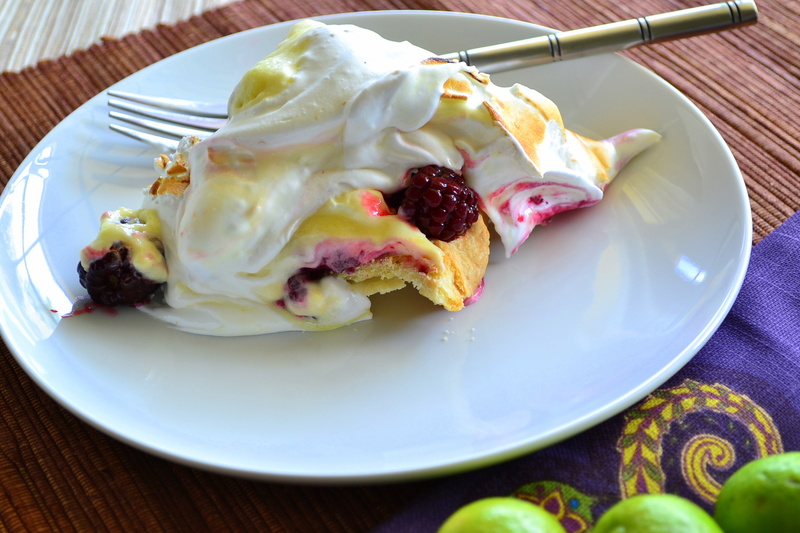 Fold whipped cream into lime curd. Cover; chill. If toasting meringue in oven, preheat oven to 450°. Place egg whites in the bowl of a stand mixer fitted with a whisk attachment. Beat whites in mixer until soft peaks form. Set aside. 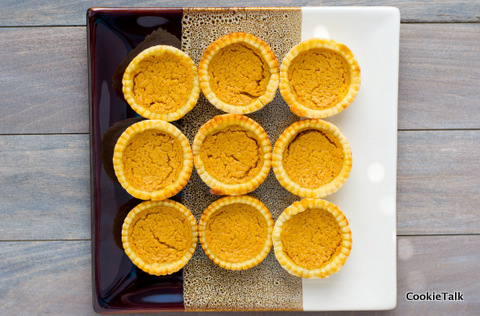 Stir sugar, corn syrup, and 1/4 cup water in a medium saucepan over medium-low heat until sugar dissolves. Attach a candy thermometer to side of pan. Increase heat to medium-high and boil without stirring, occasionally swirling pan and brushing down sides of pan with a wet pastry brush, until thermometer registers 238°, 6-8 minutes. Remove pan from heat. Slowly pour hot sugar syrup down side of bowl into whites and beat until meringue is firm and glossy. Continue beating until cool, about 4 minutes. 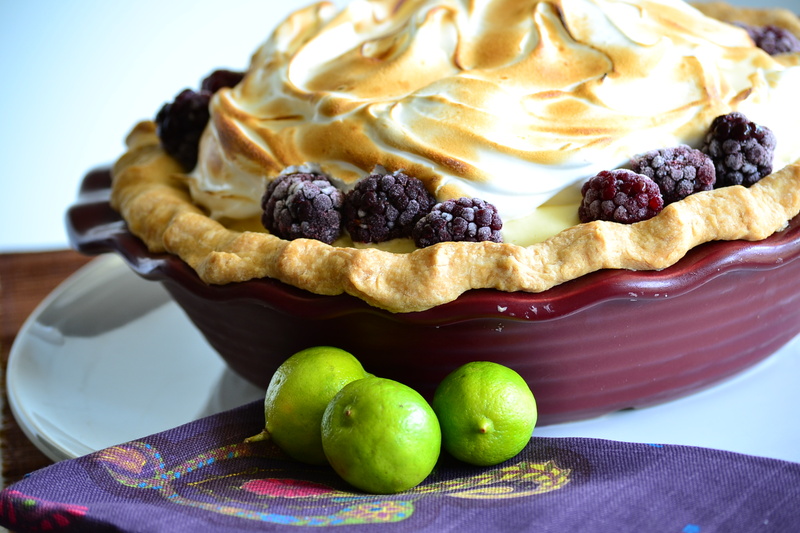 Spoon meringue over lime curd, leaving a 1″ plain border, and sculpt decoratively. Tuck 1 cup berries in and around meringue. 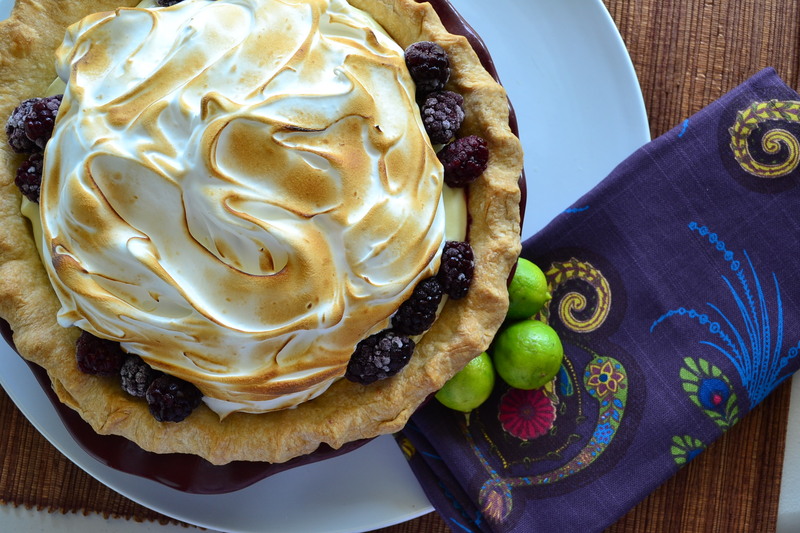 Bake pie until meringue is toasted in spots, 3-5 minutes (or use a kitchen torch to brown). Chill for 30 minutes before serving. Do Ahead: Pie can be made 3 hours ahead. Keep chilled. My husband takes most of my baked goods to work to share with his co-workers. We certainly can’t eat everything and I enjoy making them goodies. Since it is fall, I wanted to make something with apples. Of course I first think of apple pie! However, pie is not an easy item to take into work, nor is it easy to serve. I like to send in goodies that people can grab and go. So, I made mini apple pies. 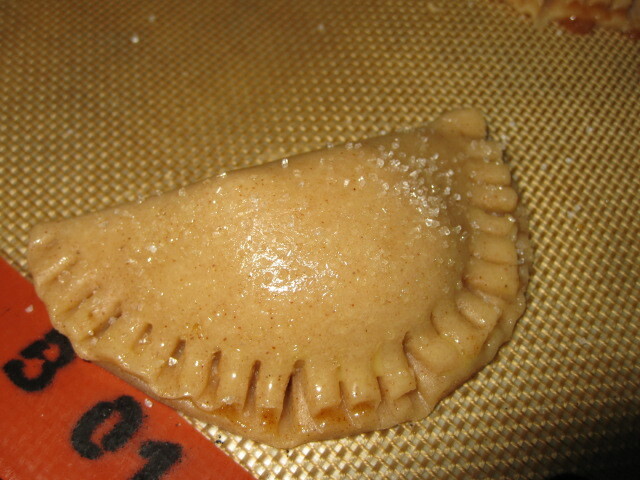 I suppose we could call them apple empanadas, since that is what they look like. But I like pockets. It’s cute. Apple pie filling is great because you can adjust it to suit your tastes. Don’t like as much cinnamon? Easy! Less sugar? No problem! This is just what I like, but please, adjust it to suit your taste buds…after all, those are the ones that matter! I recommend making this the day before so it can chill overnight and will also give you less do to on baking day. Place flour, salt, sugar, and cinnamon into a food processor and pulse until well blended. Cube the butter and add to food processor. For a mealy pie dough, pulse until consistency of corn meal. 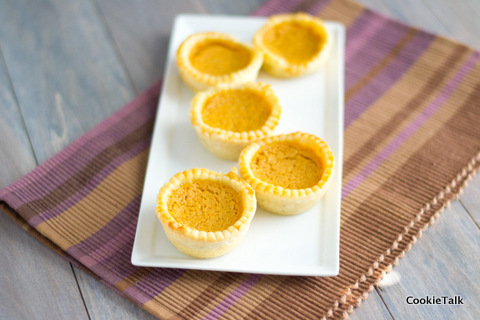 For flaky, until pea size. For these pockets, mealy will hold together easier. Be careful not to over mix the dough! If the flour absorbs the butter, you will not be able to add the water. Just short pulses until the right consistency. Then add the water, 1 TB at a time until dough pulls together to form a ball. Wrap in plastic and chill overnight, or freeze until ready for use. It’s important to use apples that will hold their shape. A soft apple will quickly turn to mush and you will have applesauce instead. I used Rome apples because they were on sale, but my preferred apple is Granny Smith. Place all ingredients except the cornstarch and water into a large, heavy bottom pan. Stir to combine and warm over medium heat. Whisk together the cornstarch and water (add more or less water if needed). Once the apples are warm, but not hot, slowly stir in the cornstarch mixture. Bring to boil. Turn heat to low and cook until apples are slightly tender, but warm. Cool completely. Transfer in small batches to a food processor and pulse slightly to make the apple pieces smaller. Be careful not to puree! I think it is easier to process after cooking because if the apple pieces are too small they will become mush too easily when cooking. And just slicing makes them too big for the small pockets. I used a four inch cutter, but you can use whatever size you have. If you don’t have a cutter you can use a bowl and a pizza wheel. Let your dough come to room temperature. 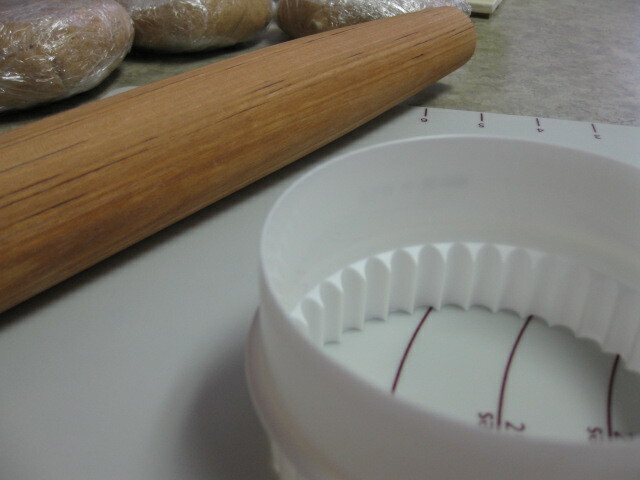 Lightly flour your surface and roll to about 1/8″. 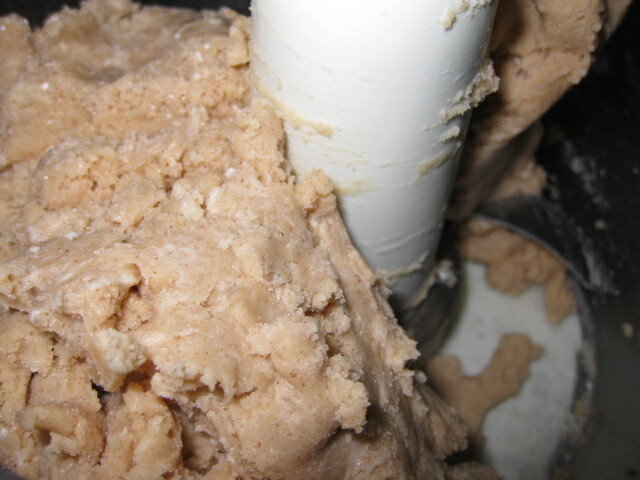 A good way to get your dough even is to use dowels. You can pick up multiple sizes at the hardware store and then use them for cookies, scones, and pie! Also, to avoid using excessive flour (which will just result in a tough dough) constantly move your dough around. If you roll too long in one spot, it will start to stick. 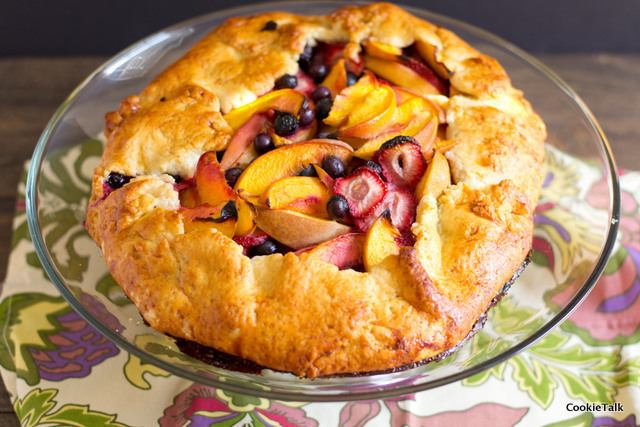 Cut out the pie dough and place on a sheet pan lined with either a silpat or parchment. Place one teaspoon of filling in the center (I used a scoop to ensure all are even). Gently fold over to match up the edges, then use a fork to seal. Brush egg wash (just an egg and water) over the entire surface and sprinkle with sanding sugar. If you don’t have sanding sugar just use any sugar you have. Turbinado sugar would be a great touch! Bake until golden, 15 to 20 minutes. If you used cinnamon in your dough, it will be harder to tell when it is golden, so keep a close eye not to burn. Let cool as long as you can before devouring with a scoop of ice cream! Your co-workers will love you for these! 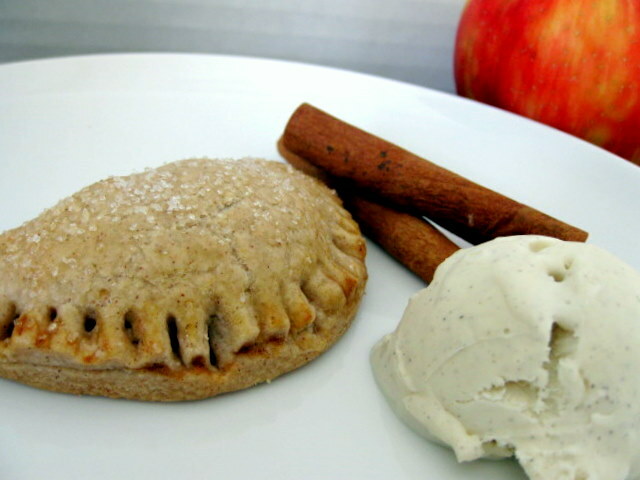 Note: You will end up with extra apple filling. Either make less or do what we did…put it on your waffles, pancakes, or something equally delicious for a special breakfast. Yum!